The shaming of the previously unknown Lord Sewel has heaped further ignominy on the House of Lords. He may have resigned but the damage has been done. Good. 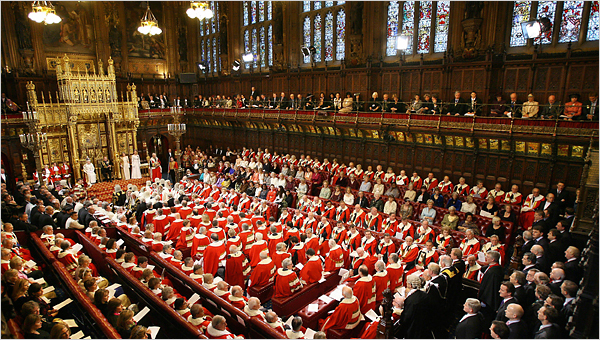 The House of Lords has no place in a modern democracy and should be abolished. The more of its members who are caught doing things that undermine its credibility the closer the day will come when the case for shutting it down becomes unanswerable. Many will have sympathy with Lord Sewel at the savagery of the media exposure of his private life and the heavy-handed response of the police. It is possible construct a decent liberal argument about how the private life of a public figure should stay private unless it clearly interferes with their public duties. The Sewel story is right on this boundary, involving as it does drug taking and prostitution. The Sun certainly hasn’t weighed up this moral dimension and also hasn’t been an enthusiastic supporter of Lords reform or abolition. It saw that even a political non-entity like Sewel when dressed in ermine makes a good story that sells newspapers and website subscriptions: it was ever thus. Other peers need to look very carefully at their private lives as the interest this has generated will encourage the search for further similar stories. There is a greater good that comes out of the Sewel story and that is the further discrediting of the House of Lords. I have long been a supporter of radical reform but I increasingly find myself drawn towards supporting outright abolition. I used to be seduced by arguments about the need for a ‘revising’ chamber but find those rather threadbare. We have a very large lower house – 650 MPs – which doesn’t function with any great efficiency. Over the last 30 years much of what it used to do is now done elsewhere, either in Europe or in the devolved parliaments and assemblies of the UK, yet we have more MPs than ever. If they can’t make a decent job of passing legislation then they shouldn’t be there. A revising chamber is a dreadful indictment of the incompetence of the main chamber so that isn’t a decent reason for having one. Alongside that is the problem of competitive legitimacy if you have two elected chambers – no-one will ever sell me the idea of a partially elected Lords as that is just absurd. I think that is a very hard one to resolve so why not avoid it altogether by dispensing with the second chamber? That would take nearly 1000 politicians off the public pay-roll and begin to offset the huge increases in the number of paid politicians over the last 30 years we have as a result of the European Parliament, devolution, city mayors, full-time councillors, police commissioners and so on. « When did we get so stuffy about applauding at classical concerts?